This province offers tourists many objects of tourist interest. Buddist sanctuaries and Hindu temple comprising many architectural splendor are impressive legacies of past empires including the powerful and extensive Majapahit empires of the late 13th centuries. Indeed, almost every village, town and city in East Java seems to have its own unique historic relics and legends. Famous for their magnificent scenery in this province are Mt.Bromo and the mountain resort of Tretes and Pandaan. Upon arrival at Juanda airport Surabaya, you will be met and transfer to your choice Hotel at Bromo area.Stay overnight .Evening free programme. Early Morning,Start your journey the beauty of nature and the splendid Sunrise at Mt.Panjakan (subject to the weather condition ) Proceed to Mt.Crater. Through the shimmering sea of sand (horse-back riding at your own expense).Return to your hotel for having breakfast and hot shower.Depart to Surabaya Airport /hotel at around 09.00 am. 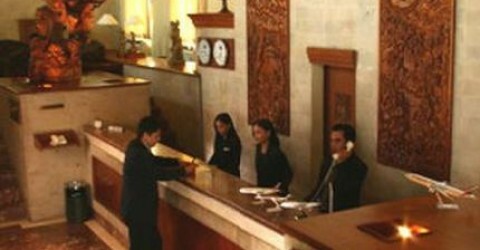 Upon arrival at Juanda airport Surabaya, you will be met and transfer to hotel in Bromo Area. Stay overnight at your Hotel choice. Evening is free programmed. Early Morning. Start your journey to enjoy the beauty of nature and the splendid Sunrise at Mt.Panjakan(subject to the weather condition). Proceed to Mt. Bromo Crater. Through the shimmering sea of sand (horse-back riding at your own expense). Breakfast at Hotel before leaving for Malang en-route visit Singosari temple and Dwarapalas. Continued to Batu and Selecta a beautiful mountain. After breakfast at the hotel, free at your own leisure till time to drop off to the airport for your next destination. Upon arrival Juanda Airport, meeting service and direct transfer to Bromo Cottages at Tosari. Evening free. Morning call at 03.30 AM. Your journey start at 04.00 AM to enjoy the beauty of nature and splendid sunrise at Pananjakan then proceed to the Mount Bromo crater over shimmering “Sea of Sand” on horse back. Breakfast at hotel, leave for Kalibaru via Probolinggo, Jember and Jatiroto. Lunch en-route. Overnight at guest house. Halfday tour to coffee, cocoa and nutmeg plantations, visiting the factory where the product are proceed and package for export. Lunch, dinner and overnight at guest house. Drive back to Surabaya via Probolinggo and Pasuruan and transfer to Juanda Airport for your flight to the next destination.